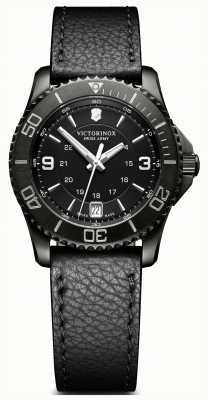 The INOX Swiss Army watch in black is the latest edition to celebrate 130th anniversary and this watch is superbly well made. Capable of resisting being ran over by a 64 ton tank and spending two hours at 90 degrees in a washing machine as well as being dropped from a great height. With a precision Swiss quartz RONDA movement, this watch is quality from the inside out. Featuring highly luminous hands and markers, a date window in the 4.30 position and red second hand. 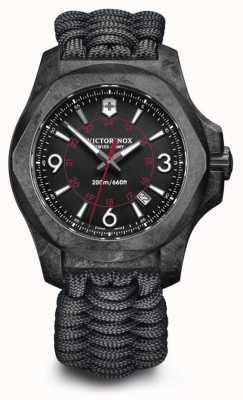 This watch is 200M water resistant. 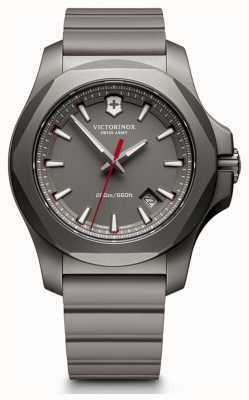 I ordered the Victorinox INOX with black rubber strap in the boxing day sale, getting 20% off made it a steal! I think the watch is great value for money, as it looks great (photos don't do it justice), is tough as nails and the type of watch you can wear everyday. With the plastic bumper included you almost get two watches in one, I wear the bumper when working during the day as an engineer, but when you remove it the watch is so slick and crisp you can keep wearing it as a sporty watch. 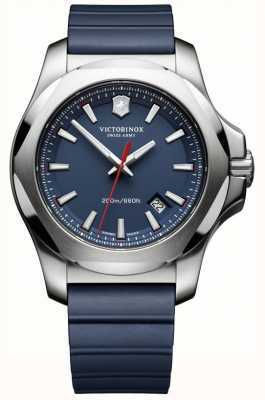 The watch is quite big and heavy, but my wrists are not huge and I find the watch comfortable. This is due in part to the curved lugs shaping well with your wrist. I have seen people commenting that the rubber strap is uncomfortable, but I find it perfectly good, it is easy to forget you have a watch on. I am used to wearing G-Shock watches to work, and this is smaller and strap as comfy. 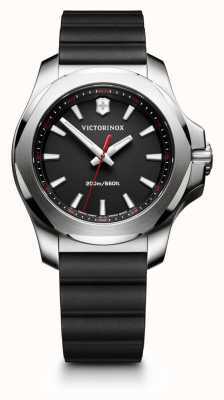 I am delighted with the watch so far, and the service was excellent also. Outstanding watch, quality and craftsmanship goes into a simple yet tank of a watch !!! Companion for life. The price and the ease to purchase was a big factor in my decision to purchase the watch. Great service and arrived as promised. Very happy with my watch. Looked at loads of watched from Omega to Casio but kept coming back to the INOX. Bought it as my day to day watch, it being fairly understated but classy. Reading the reviews and blurb it sounds like its indestructible having had a tank ran over it !! Just had it a few days and not disappointed, is comfortable and a good weight. Not much to tell, it's a watch and it tells the time, no fussy dials or extra features. If you like the styling you wont be disappointed the pictures don't do it justice. 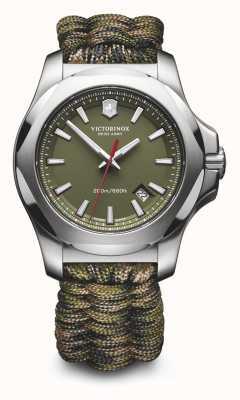 Bought from First Class Watches, the service was faultless. Got a pricematch on a Saturday, ordered on the Sunday and delivered on the Tuesday. 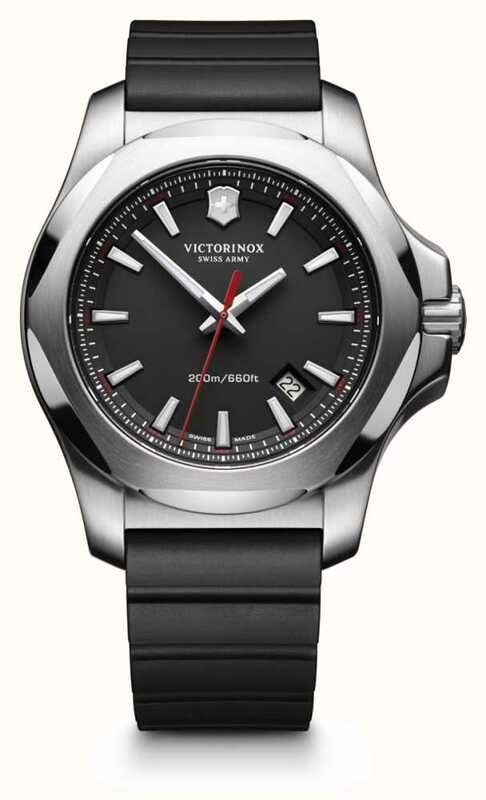 Great watch, easy to adjust and well built. 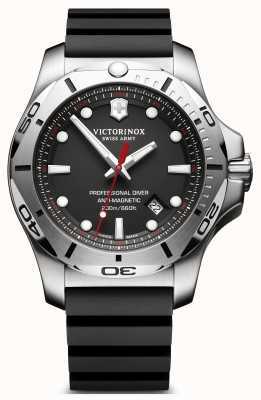 Included rubber bezel changes the appearance and adds protection. Clear prompt service at an attractive price. Very happy with product. 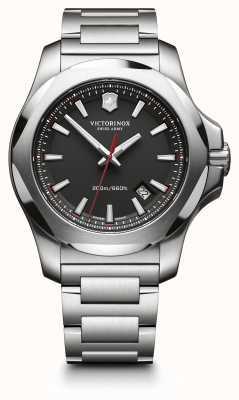 Great watch for the price, case is well machined and detailed, crown is sturdy and secure. Strap is soft and comfortable, large wristed buyers may find it short, mine are 6.75inch and I wouldn't want it much shorter. Dial design is elegant, set in a tough yet well designed case which with the tough innards creates a true all occasion watch. Lug to lug length is just over 50mm but curved lug design means it wears well on a small wrist. Keeping perfect time so far. Only negative is second hand doesn't hit all the markers, misses about half of them. A drawback of quartz sometimes but it is still keeping near perfect time, has lost 1 second in a week. 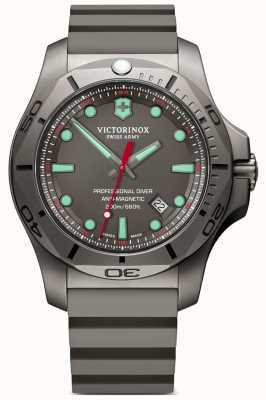 Overall I am very very happy, looks stunning on the wrist and I plan to add a different colour dial version if the rumoured bright colours are launched this year. Excellent quality, good design. Would highly recommend. I ordered one blue and one black strap as Christmas presents, both looked superb. 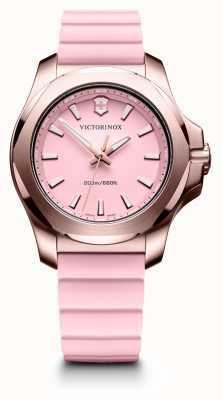 I knew i wanted the watch but not where to but it from. 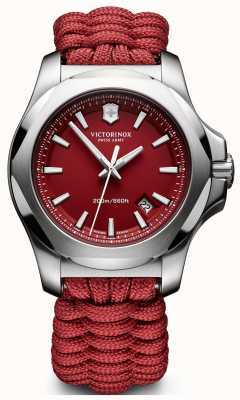 The Victorinox shop refused to discount the price so I ordered from FCW. Thrilled with the price (20% Black Friday discount included) and was delivered in under 24 hours. Highly reccomended. Watch is excellent quality. Case is very solid and beautifully machined. I am not sure you will find a better case at this price anywhere. Strap is natural rubber and feels good. 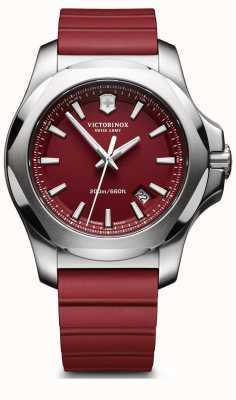 Ordered this watch from First Class as the price was the best I could get anywhere. Had looked at videos of this watch online, I have an Oris Artelier Skeleton as a dress watch but wanted a robust watch to replace an ageing Citizen Eco-drive Nighthawk. The watch from the second I took it out of the box is impressive. The Stella is the same as used in Rolexes. Looks lovely, feels nice to wear. Feels a more expensive watch that it costs. Size wise 1mm wider than the Citizen, but doesn't look big and my wrists aren't huge. Delivery was superb with great updates from First Class, they surely live by their name. Would I buy from them again, yes I definately would. My daughter has named this watch "The Beast", its durability under testing is testament to that. Yet, it isn't a beast to wear, in fact I have settled to it well. I must admit to being a little surprised at that, as my "Posh watch" is a very light Titanium Breitling Aerospace. The looks are as described, as is the function; simple and with purpose. 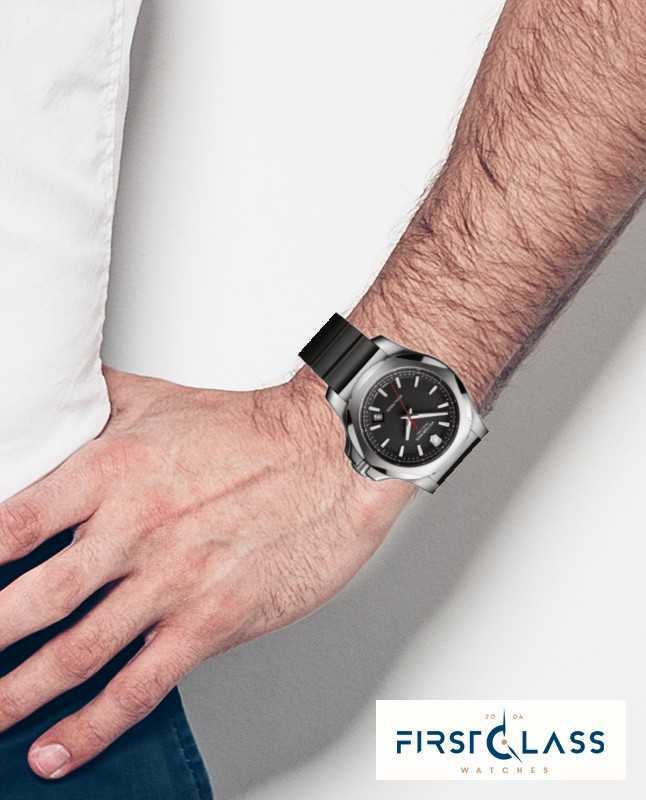 The overall feel of the watch does not come over in the advertising, this watch feels absolutely solid and the edges smooth, it's quite a tactile piece to be honest and easy to wear. If it is dress style and chronograph function you are after, then it is not for you. 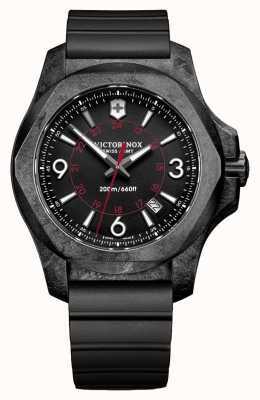 I recommend the INOX as a no nonsense, functional piece of engineering, that is also a timepiece.